Organization Lavish Surprises – Planning surprises for special events – Hyderabad, India. Lavish Surprises is known for planning surprises for special events. Our best surprise planning services include Birthday's, Wedding Anniversary, Valentine's day, Mothers Day, Fathers Day, Midnight Birthday Surprises, Midnight Cake delivery and Many Surprises. We perform the events with lot of Commitment and passion that every event should be very precise, beautiful and to be surprised. Surprise Planners in Hyderabad is going viral to celebrate their loved ones. We are providing the flexibility to the customers in such a way that they can celebrate their loved ones special day as they plan. We also provide surprise gifts at best prices so that the customer will get additional look towards us in future. Aman Sidhu Photography – The Best Wedding Photographers – Chandigarh, India. CamYogi – Offers wedding picture takers, professional photographers portal – Kolkata, India. Propicsolutions – High-quality adept services on clipping images, real estate photo correction – Bangalore, Karnataka. Majestic Photos – Luxury photography company that specialises in Asian weddings – London, UK. 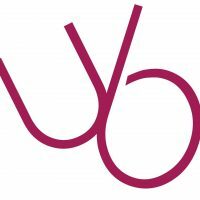 UB Marketing Vancouver; we make consumers take notice of your brand – Vancouver, BC, V6Z 0E2, Canada.